Steamrolling his competition and critics for years, some said Steve Ballmer would never willingly relinquish the reins at Microsoft. That day has come, however, as the software giant announced Ballmer’s plans to retire on Friday. Ballmer -- a marketer by trade -- is expected to step down within the next 12 months, or as soon as Microsoft can find a suitable successor to shepherd the company through an increasingly fragmented, ever more mobile marketplace. “There is never a perfect time for this type of transition, but now is the right time,” Ballmer said in a statement released Friday. Between his bellicose behavior and questionable track record, Ballmer has long been an easy target for critics. Analysts on Friday, however, were hesitant to judge the man or his legacy at Microsoft. At least from an advertising perspective, “the goal always seemed to be more about spiting Google than anything else,” Wall Street analyst Brian Wieser said. Meanwhile, a deteriorating PC market and disappointing sales of its Surface tablets resulted in Microsoft reporting poor fourth-quarter earnings in July. Microsoft posted lower-than-expected quarterly earnings, and was hit by a $900 million writedown on its Surface tablets after it was forced to cut prices. Microsoft launched Surface tablets last year in an attempt to take on Apple’s iPad, but as with so much of its mobile strategy, the effort has yet to pay off. Ending one of Ballmer’s more embarrassing forays into the world of online advertising, Microsoft took a $6.2 billion writedown -- mostly due to its botched purchase of aQuantive -- earlier this year. Considering that Microsoft paid about $6.3 billion for the ad technology company, the deal was largely seen as a total failure. As for Bing, which Microsoft has spent millions of dollars marketing, the search engine has made headway -- but not at Google’s expense. In June, Bing (17.9%) appeared to take market share away from Yahoo (11.4%), while Google remained firmly in command with a 66.7% share of the search market. Microsoft’s board of directors has appointed a special committee to direct the process of finding a new CEO. This committee is chaired by John Thompson, the board’s lead independent director, and includes chairman of the board Bill Gates, chairman of the audit committee Chuck Noski and chairman of the compensation committee Steve Luczo. 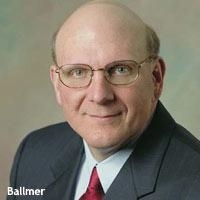 2 comments about "Microsoft's Ballmer To Retire, Amid Management Overhaul". Mike Einstein from the Brothers Einstein, August 26, 2013 at 9:47 a.m. This guy should have fired himself years ago. Adam Hartung from spark partners, August 26, 2013 at 1:44 p.m.